On the morning of 23 August 1973, Jan-Erik Olsson walked into a Kreditbanken branch in Stockholm armed with a submachine gun. 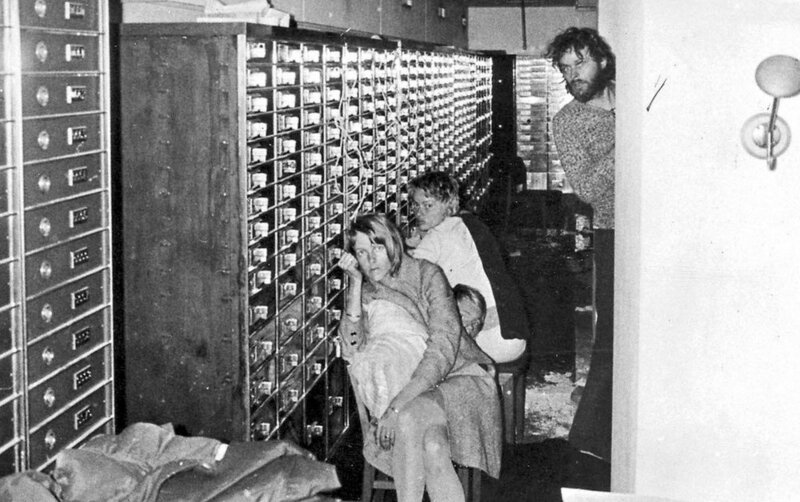 Demanding that his friend Clark Olofsson be released from prison to join him, Olsson took four bank clerks hostage and barricaded himself in the 3.3 by 14.3 meter bank vault. Since then psychologists have sought to identify the causal preconditions necessary for Stockholm syndrome to occur. One of the most widely cited requires that all the following conditions are true: 1) that those taken hostage perceive a genuine threat to their own survival, 2) that the hostages are isolated from the perspectives of anyone other than their captors, 3) that the hostages perceive some element of kindness, however small, on the part of their captors, and 4) that the hostages feel powerless to control their situation. It is thought that under extreme situations such as this, victims may begin to identify with their abusers as a self-protective mechanism and way of managing their terror. Concerningly, religion appears satisfies all of these same criteria. The problem stems from human sinfulness. As described by Dinesh D’Souza in What’s So Great about Christianity, sin is not something we occasionally do, but a tendency that sits in the heart of human nature. We sin so much, in fact, that we aren’t even aware of all the ways in which we do it. This makes it strictly impossible to atone for sin, because nobody could ever be sufficiently aware of all the ways they sin in order to make spiritual amends. Moreover, since nothing less than moral perfection will do in the eyes of god, it is entirely right and justified that he should punish us. Our only way out is for god to freely forgive us. That is something he can do, but only because of the profound sacrifice he made as Jesus when he died for our sins. This metaphysical account would seem to represent an almost perfect recipe for inducing Stockholm syndrome. After all, not only does it give god every reason in the world to judge and punish us, our inherently sinful nature means that there is nothing we can do to avoid presenting him with that justification. Moreover, we should feel incredibly grateful and indebted towards god, for he died by crucifixion just so we could be forgiven. Finally, since by definition god is the ultimate knower and perfect judge of all things, whose opinion besides his own could matter? Surely none. This checks off every item in the Stockholm syndrome checklist: threat, powerlessness, kindness, and isolation. If Stockholm syndrome is a cognitively real phenomenon, it seems plausible that at least some believers would be affected by a metaphysical variant of it. In other words, the intensity with which at least some people accept and identify with the truth of Christianity is a partial product of the trauma caused by accepting core religious postulates concerning god and the nature of humanity. And just think about it: if Islam and Christianity really are right, not only are we all trapped in god’s cosmic bank vault, and not only are there not any police waiting outside to rescue us, we are continually doing things we deserve to be profoundly punished for.